Night Time Attack! - Time Attack® - It's not racing... It's Time Attack!! 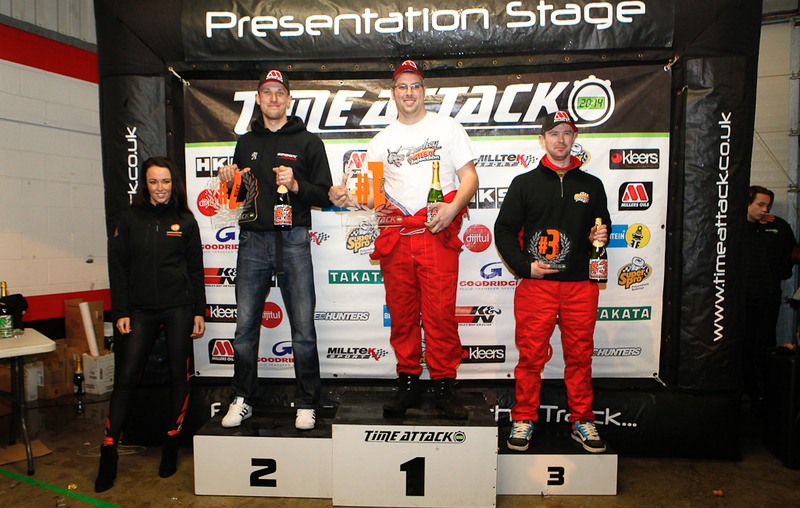 It started with a late afternoon briefing and an admission from UK Time Attack main man Andy Barnes.. 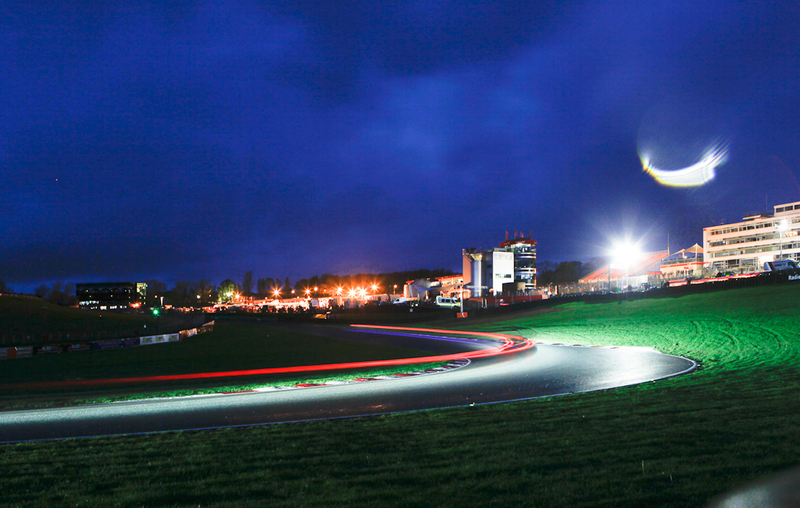 Almost 11 years ago to the day, Andy had imagined standing on Paddock Hill bend at night, watching Time Attack cars speed around the track illuminated only by their headlights. It was a vision he wanted to make a reality, but often wondered if it was even possible. It had taken more than a decade, but as the words left his lips they were greeted by applause from the willing Time Attack drivers. 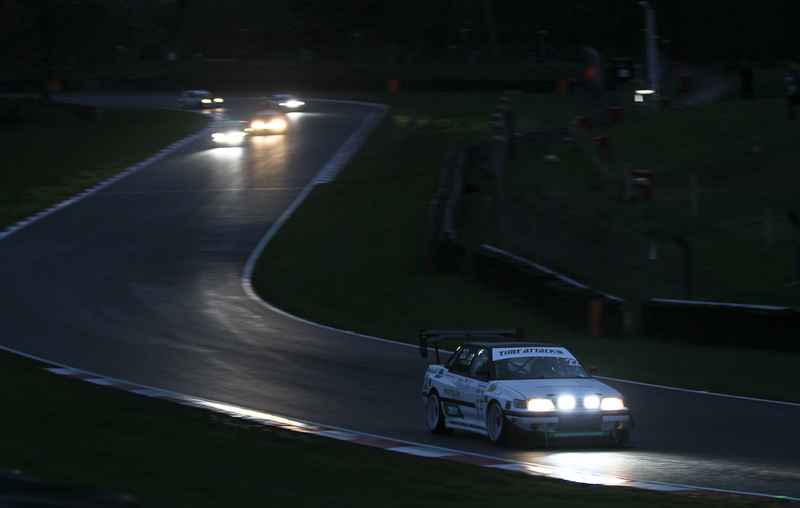 Darkness was falling upon Brands Hatch and the first Night Time Attack, a World debut no less, was about to begin.. 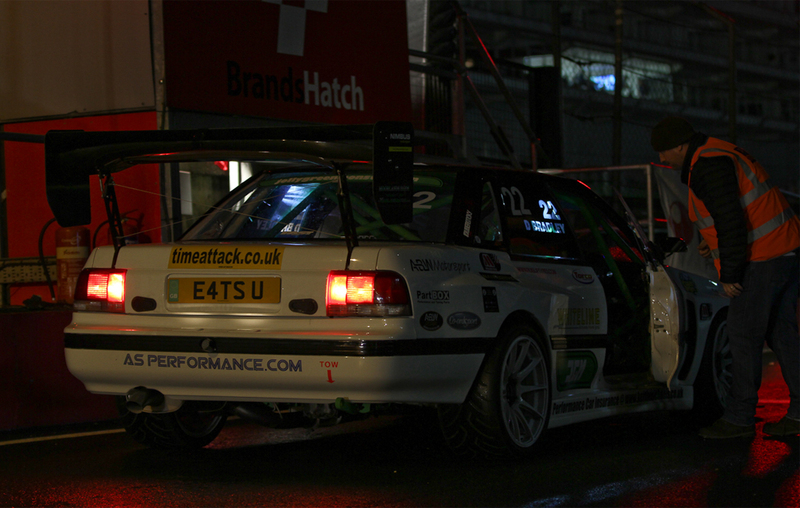 This wasn’t part of the 2014 UK Time Attack Championship. 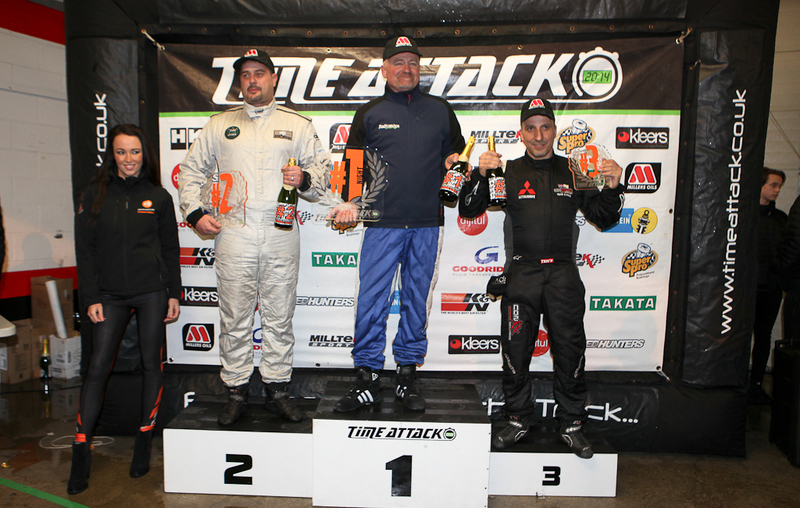 That had literally just concluded, and as drivers began to share stories about their day and indeed their season, there was one very special Time Attack competition left for willing participants. A total of six sessions, three for the Club Challenge drivers and three for the Pros – consisting of one Practice and then two Final sessions. 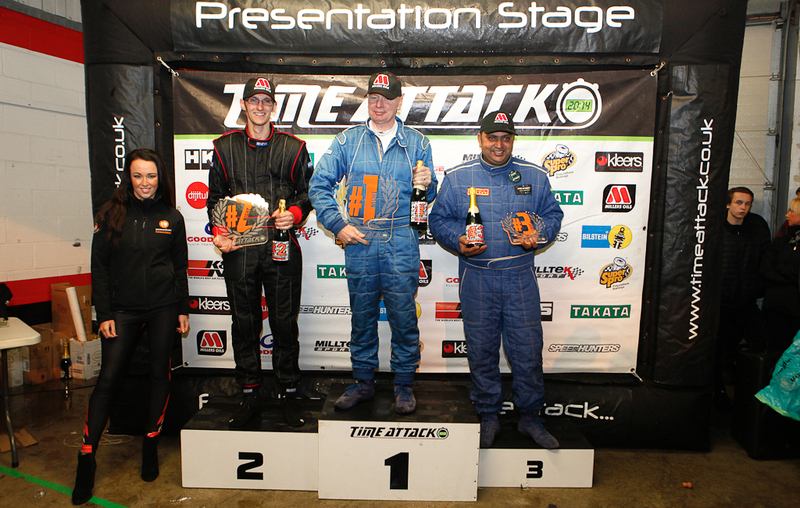 The fastest lap time from either of the two Finals counting towards the end result. 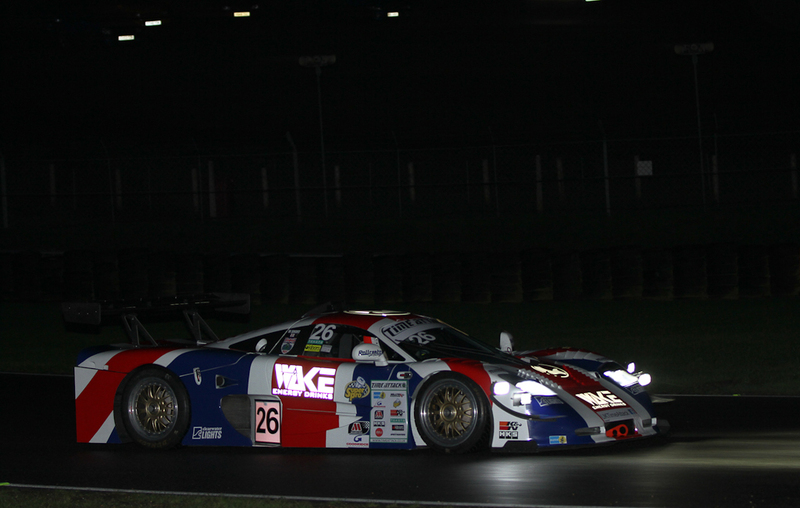 As Practice got underway, we could see what Night Time Attack was all about. 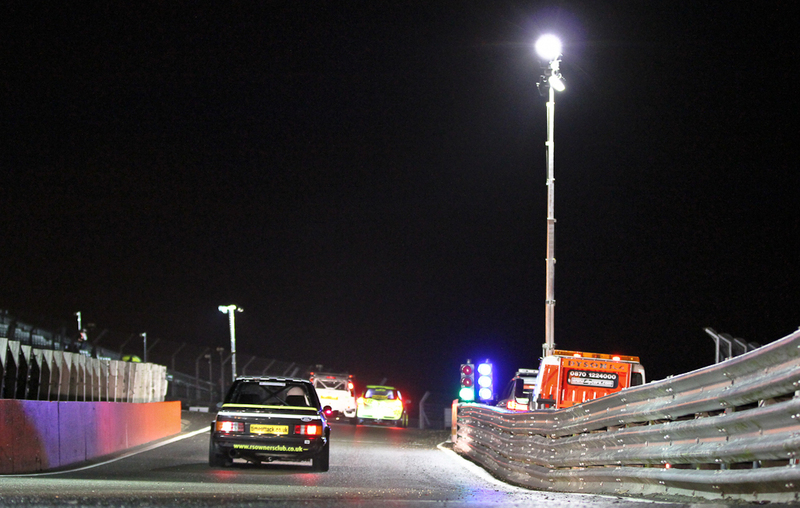 All the lights surrounding the circuit were switched off. Only the pitlane lights were kept on for safety. 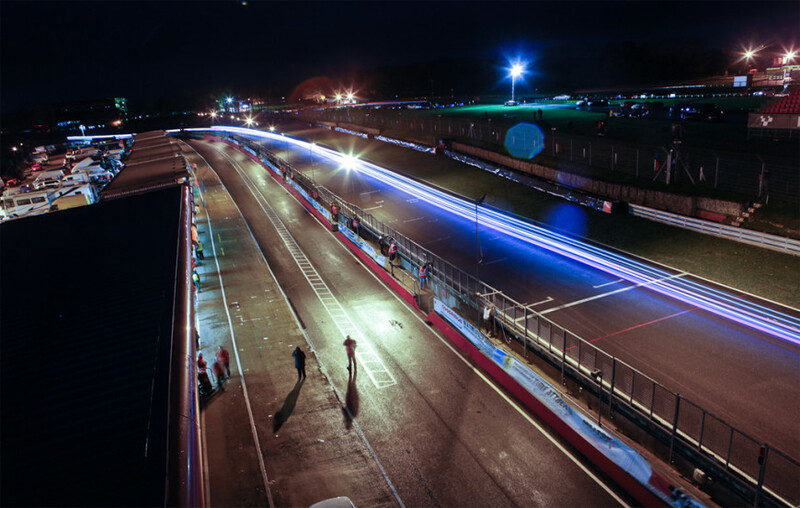 Drivers had equipped their cars with extra bright lighting for the event, and it was their bright white headlights and red brake lights that illuminated the 1.2-mile circuit. 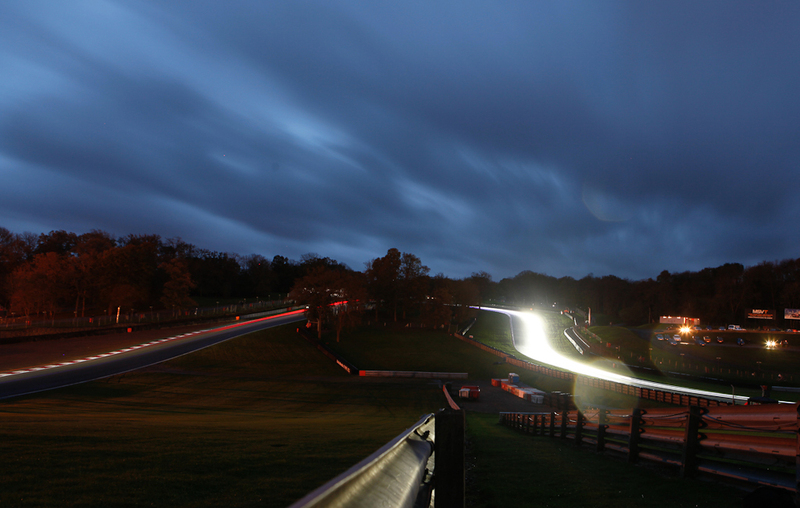 Exhaust notes sounded louder in the thinner air, reverberating around Brands Hatch’s natural amphitheatre. Exhausts glowed in the dark and flames lit out the back like fireworks. 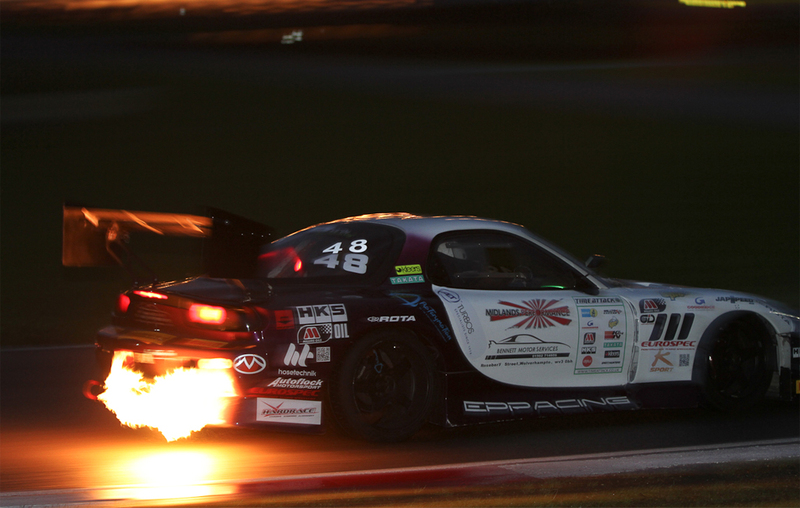 Especially the Mazda RX-7 of Umar Masood, which seemed to be on fire every time he braked into a corner! 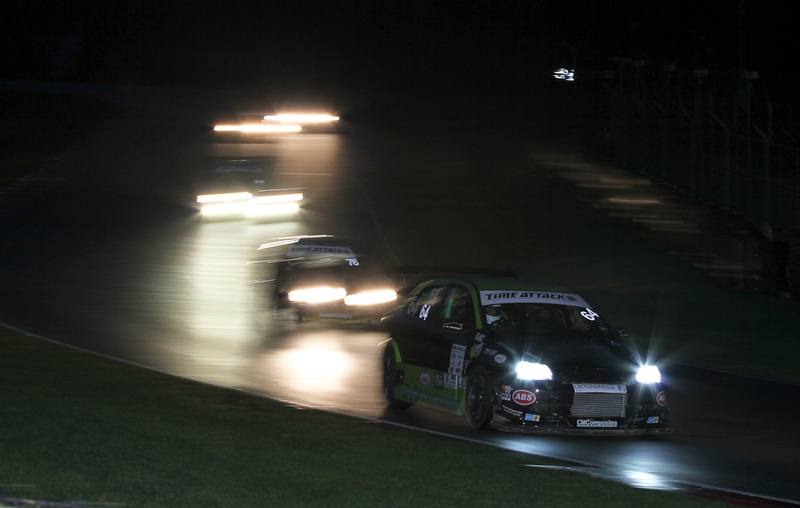 Paddock Hill bend is a challenge even when you can see where you’re going, so it became even more frightening in complete darkness! With Practice over, the pit lane was buzzing with excited talk between the drivers and their teams, as they tried to explain the thrill of controlling these highly-tuned machines in completely alien conditions. Then it was time for the first of the four Final sessions. It would be Club Final 1 followed by Pro Final 1, then a brief break followed by Club Final 2 and finally Pro Final 2. 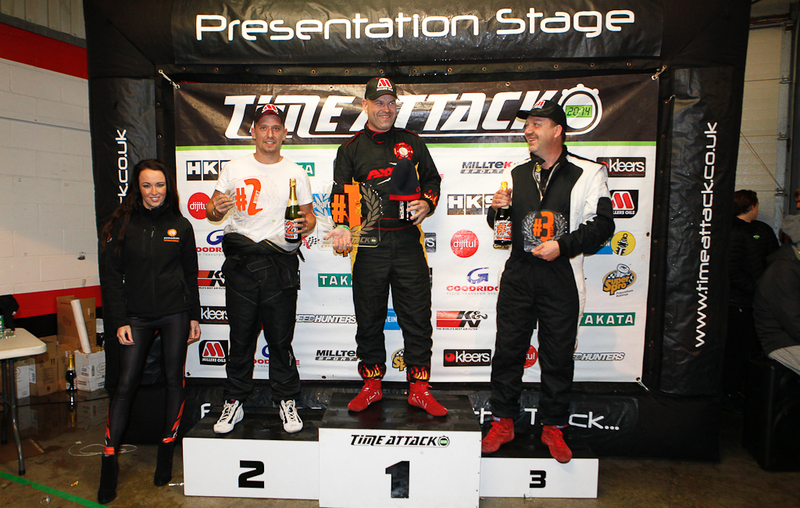 The drivers were still competing in their relevant classes, but now their fastest time from either Final counted towards the unique Night Attack trophies, that featured orange detailing to set them apart from the Time Attack Championship trophies. 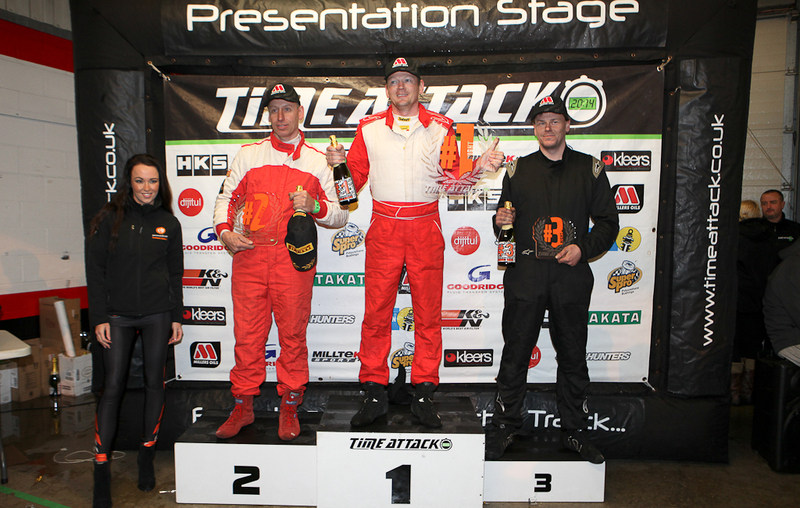 In Club Challenge we had 19 cars on track, including our newly-crowned 2014 Champions: Dave Coe (4WD), Kevin Jones (RWD) and Marc Donnelly (FWD). In fact, it was only Marc who had needed points in the final round to win the Championship. Fresh from his victorious fight with turbo Civic Type-R driver Adam Jones, Marc went out to enjoy himself in style. You’ll find a link to the full list of lap times at the bottom of this report. However, a few drivers did stand out. 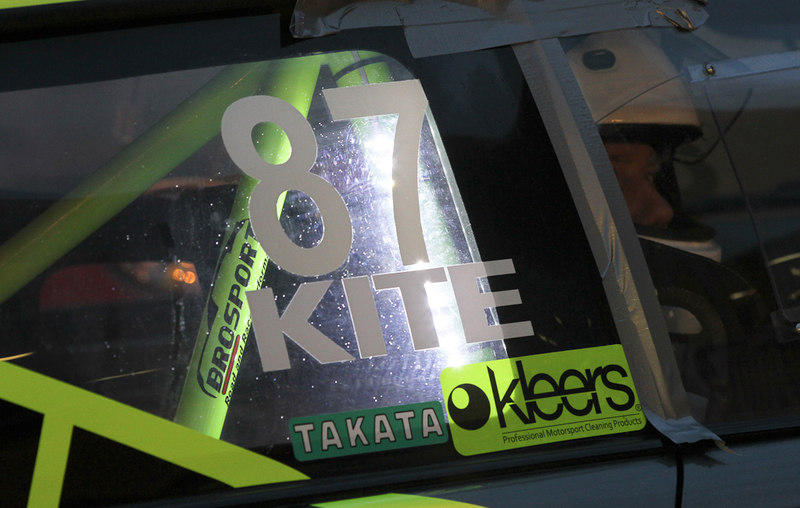 Literally in the case of Dave Coe, who had fitted four huge spotlights to the front of his Impreza – and also Tim Kite in this Mini Cooper S. The reflective Airtec graphics on Tim’s Mini were complimented by bright lights attached to his rollcage. 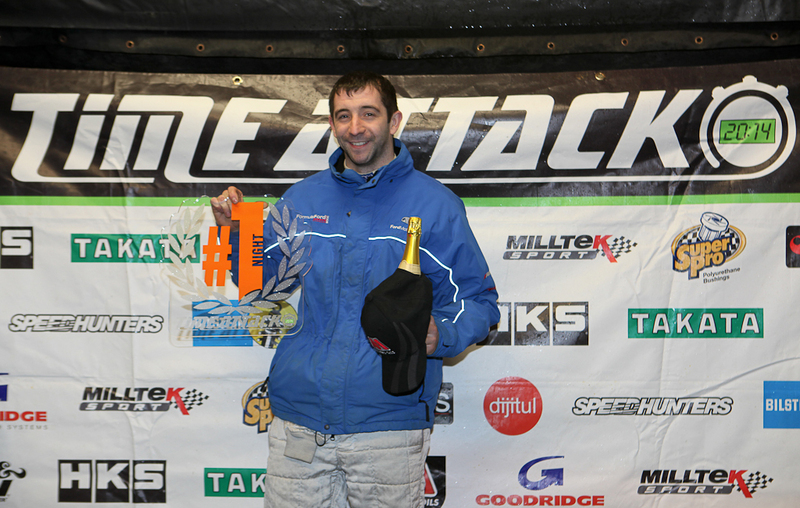 He completed the most laps of anyone in Club FWD and was clearly enjoying himself. It was interesting that he set his fastest time in Practice and proceeded to go marginally slower with each session, suggesting the track was becoming colder and offering less grip as we rolled into evening. Light rain showers didn’t help either. Tim certainly wasn’t trying any less, that’s for sure! In truth, everyone was pushing hard. Darren Spooner was clearly on the very limit in his Peugeot 205, as was fellow French car driver Stewart Summers in his supercharged Citroen Saxo. Jeff Alden had switched cars, from his Astra to a V6-powered Vauxhall Vectra, bought specifically for the Night Attack for less than £1,000! It sounded lovely. While Neil Wrenn managed to recover from putting his Honda Civic turbo in the kitty litter earlier in the day, to top the chart of a very competitive FWD class – well done Neil! 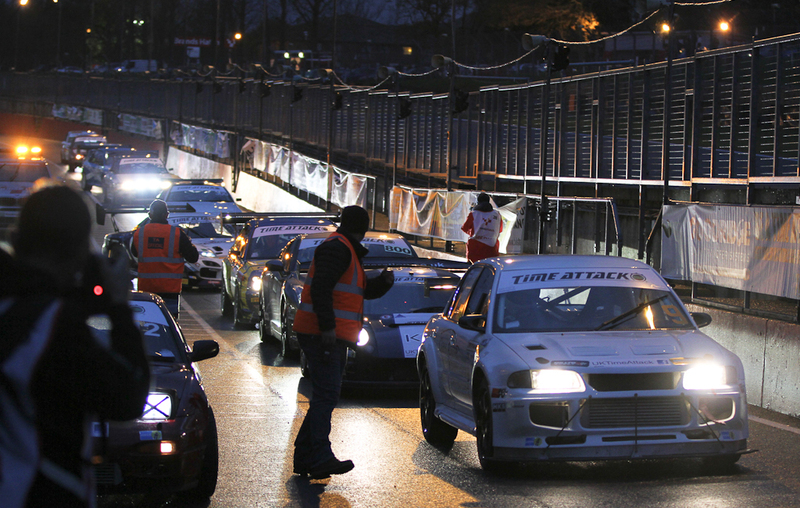 In Pro we had three Pro Extreme cars fighting it out: Andy Demetriou (above, in Ginetta G55), Martin Short (Mosler Super GT) and Marcus Webster (Nissan Skyline R32 GT-R). While Simon Deaton (Pro Porsche 997 GT3-R) and David Brown (Club Pro Honda K24 supercharged Lotus Elise) tried to chase them down. 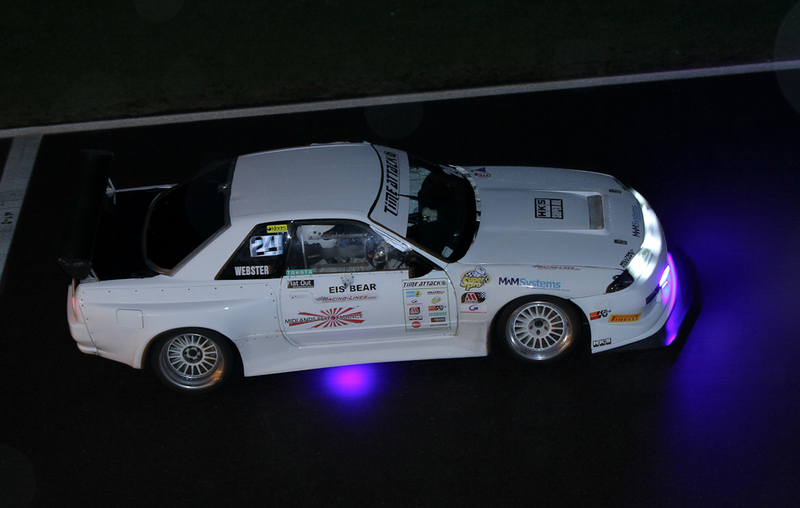 Marcus Webster’s LED lights turned a few heads, and his GT-R’s silky six-cylinder RB engine sounded awesome – filling the night air with a combination of engine howl and turbo chirping. Simon Deaton was loving flying around, lap after lap. Pushing himself to get closer and closer to the Pro Extreme guys. 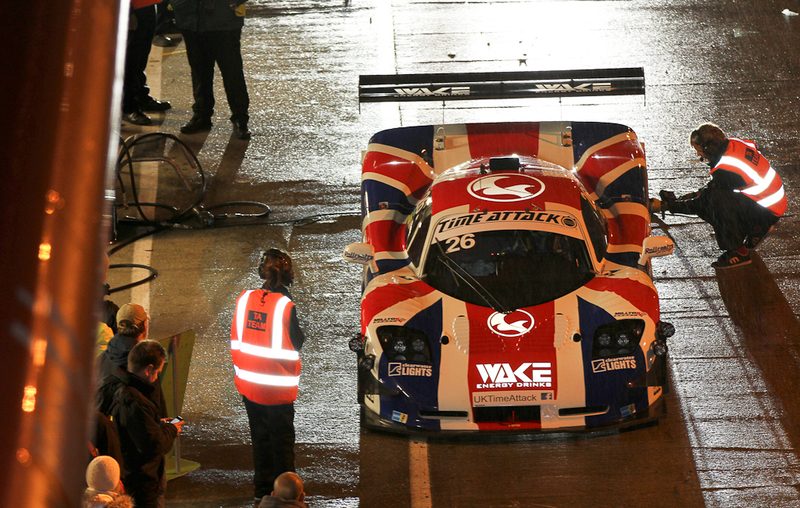 While Andy Demetriou was doing the same, although he wished his Ginetta G55 had more than 370bhp. He drove extremely well when you consider the Super GT Mosler was making 600bhp+ and Marcus’ GT-R is capable of 1,000bhp! 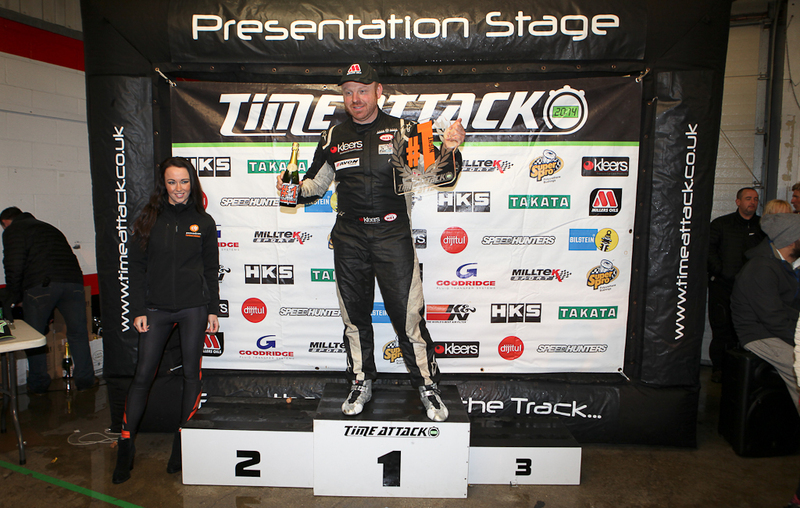 Ultimately, it was Time Attack debutant Martin Short who came out on top in his loud Mosler Super GT. The rumbling 7-litre V8 engine shook Brands Hatch to it’s very core. 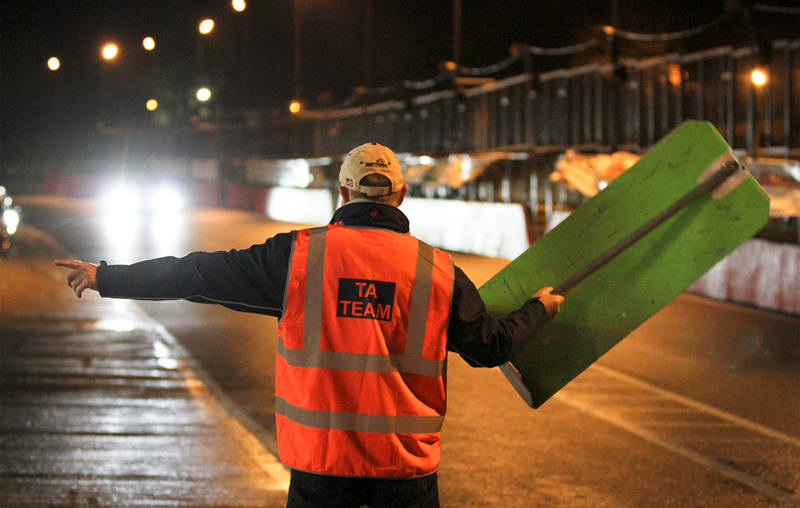 Congratulations to all our drivers who took part – and Thanks for being part of something very special for us. 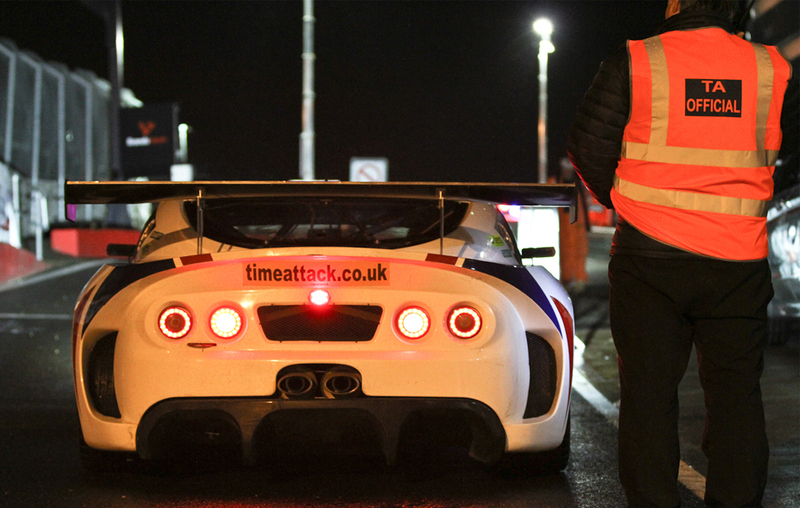 It was a World first for Time Attack, and we’re proud it happened here in the UK. Stay tuned to the website for new of the 2015 Championship. We’re going to do it all over again. Bigger and better..